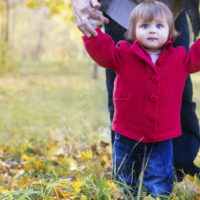 Sole Physical Custody vs. Joint Physical Custody: Which Is Better For Your Children? One of the most difficult aspects of a divorce is deciding whether you or your ex will have custody over your children. Traditionally, sole physical custody was typically granted to one parent, and visitation rights granted to the other parent. However, with more and more studies showing that joint custody is more beneficial for children, courts are starting to consider joint custody as a more viable option than before. If you are struggling to decide whether sole custody or joint custody is the best option for your children, contact the family law attorneys at Barbara Flum Stein & Associates to receive a free consultation of your case. Sole physical custody, oftentimes referred to simply as “sole custody,” is when the child or children reside with one parent, and the other parent is granted visitation rights. For example, your child may live with you full time and visit with your ex on the weekends. Courts are typically pretty flexible with how much visitation time the non-custodial parent has with the child, so if for some reason you are not able to take sole physical custody of your child, or you are not granted sole physical custody of your child, you can request “liberal” visitation rights with your child. Alternatively, you can also write into your divorce decree exactly how much visitation time you wish to have with your child, which days you’re scheduled to visit with your child, or request “shared” or “50/50” custody if you and your ex decide it is best for your child to spend equal amounts of time with both parents. Remember, the more specific you are in your divorce decree about custody rights, the fewer arguments will arise in the future relating to custody rights. Joint physical custody refers to a situation where you and your ex split custody of your child 50/50 (or something close to that percentage). Although not often used in the past, it is much more commonplace today as studies have shown that children perform better when they are able to spend time with both parents after a divorce. Remember that while you are no longer in love with or even in “like” with your ex, your children still love their parent. Of course, joint physical custody arrangements still have their limitations. In order for a joint physical custody arrangement to work, both parents must live close in proximity to one another and ensure that they are able to interact with one another in a civil manner. Both parents must also be able to put their child’s needs first and try their best to work together for the greater good of their child. Which Is Better For Your Children? Determining which arrangement is best for your children requires considering some of the factors listed above. Ask yourself the following questions: Do you and your ex live in close proximity to one another? Are you and your ex able to get along in a civil manner in front of your children? Are you and your ex both concerned first and foremost with your child’s well-being? If the answer to these (and other) questions is yes, then a joint physical custody arrangement may be best for your family. Don’t guess when it comes to finding the best custody arrangement for your children. Contact us at Barbara Flum Stein & Associates at 610-565-6100 or visit us online to schedule your free consultation today.